The Series 380 BTU meter is an all-in-one energy usage package for monitoring hydronic heating or cooling systems. This meter accurately measures flow and temperature differential to compute energy and can interface with many existing control systems. The rugged design incorporates an impeller flow sensor and two temperature probes. 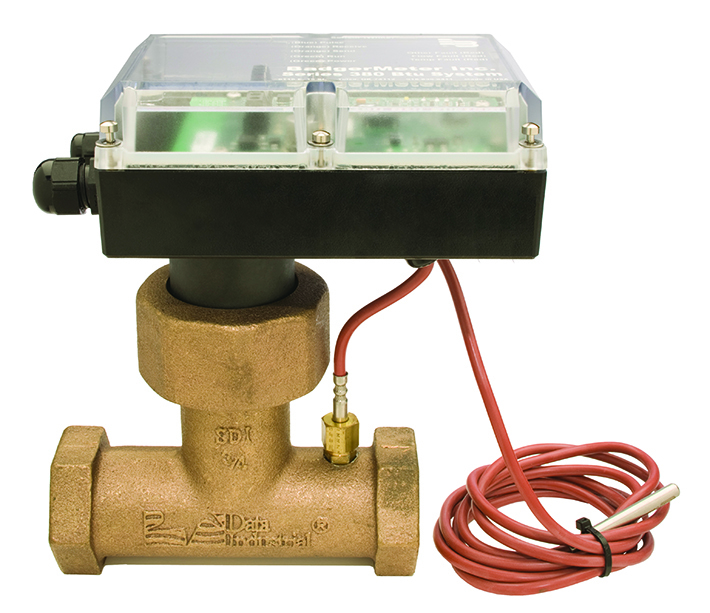 One temperature probe is conveniently mounted directly in the flow sensor tee. The second is placed on either the supply or the return line, depending on the application. These minimal connections help simplify installation and save time. Minimal connections help simplify installation and save time.